Daily Mail has a total scare storey about a muslim cemetary proposal in Solihull. err Cemeteries are an appropriate use in Green Belts ‘as long as it preserves the openness of the Green Belt and does not conflict with the purposes of including land within it;’ How does this in any way harm Green Belt purposes, there is no risk of sprawl or coalescence. Following recent caselaw traffic congestion hardely enters into the weighing and balancing equation. Should be a simple and straightforward approval. If not would be a completely racist decision which would be contrary to the Equalities Act. Despite being thrown out of the local plan, offsetting is proposed even though it is an SSSI. the RSPB has been campaigning to stop a development of 5000 houses on Chattenden Woods and Lodge Hill SSSI. This ex-MOD training ground is home to a nationally important population of nightingales (possibly the most important site in the UK for this iconic and declining species), as well as ancient woodland and rare grassland. Last night, Medway Council made the decision to approve the application from Land Securities, MoD’s delivery partner. The vote to approve the development goes against the advice of Natural England, the government’s own environmental advisors, as well as a raft of conservation organisations. If the development goes ahead it would destroy the SSSI including the home to more than 1% of our national nightingale population. Worse – it would set the terrible precedent for future development. Under the terms of the National Planning Policy Framework (clause 118), there is a presumption against building on SSSIs – our most important wildlife sites. The public benefits from the development need to significantly outweigh the environmental damage. Houses which are important locally must not trump nationally important wildlife sites. The Secretary of State, Eric Pickles, can ‘call in’ the application and make the decision himself with the national perspective it needs. In effect this would take the decision out of Medway’s hands, and allow it to be made through the rigorous process of a public inquiry. We’ll be reminding him that if the development goes ahead, it will be one of the largest losses of SSSI land in the country – perhaps the biggest loss since the mid-1990s. This is not what we’d expect from ‘the greenest government ever’. Not only that, but it would be contrary to the Government’s own guidance on developing protected sites. It is clear that Medway is in need of housing and employment, but these needs should be assessed through a thorough strategic review. Reliance on a single proposal at Lodge Hill is not the answer to providing a sustainable long-term solution. Please help us tell Eric Pickles why this decision matters across England, and ask him to call it in. Plans for a controversial housing development on the former Army camp at Chattenden were unanimously approved by Medway Council at a special planning meeting last night. The “stand-alone, sustainable” development at Lodge Hill will include 5,000 homes, new schools, healthcare facilities, leisure facilities and employment and business space. The plans will now be referred to the Secretary of State for Communities and Local Government and Natural England. Robin Cooper, director of regeneration, said: “I am pleased the development at Lodge Hill is being reconsidered with fresh material from Land Securities. “A new sustainable community in this location will play a substantial role in providing Medway with the new homes and facilities it needs to cater for the growing population. Lodge Hill was declared at Site of Special Scientific Interest (SSSI) last year, which meant developers Land Securities had to reassess the environmental impact upon the site. 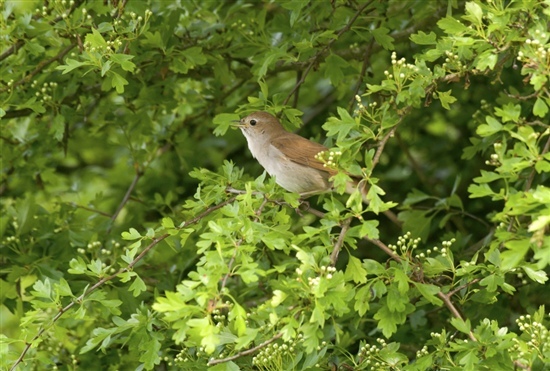 This included finding new homes for the 84 nightingales and other wildlife that inhabit the site – compensation land has been proposed at Shoeburyness, Essex, for the song birds. The site will also include 65 hectares of open space for parks and wildlife as well as three walking loops. Tom Venner, Development Director for Land Securities, said: “We are delighted that Medway Council has approved our Outline Planning Application for Lodge Hill, which will allow for a truly sustainable development to be delivered. “We have worked hard over several years to create a masterplan which addresses all potential impacts associated with the regeneration plans and we are grateful for the constructive involvement of Council officers, local residents and other important stakeholder groups. Cllr Chris Irvine (far right) and members of the Rochester and Strood Conservatives protested before the planning meeting last night. At the special planning meeting, six ward councillors from the peninsula were granted permission to speak about the plans. Cllr Phil Filmer and Cllr Peter Hicks expressed concerns about access to and from the site. The plans include new sliproads from the A289 to the site, avoiding Four Elms Roundabout. As part of the deal, the landowner must enter into a Section 106 agreement – promising to deliver a number of additional projects in Medway to cope with additional demand as a result of the development. Provision of three primary schools with a total of eight classes per year group, one school with expertise in special educational needs. If given the go-ahead by the Secretary of State, work on the site will take place over a 15 to 20-year period, with a target of laying the first brick by early 2016.